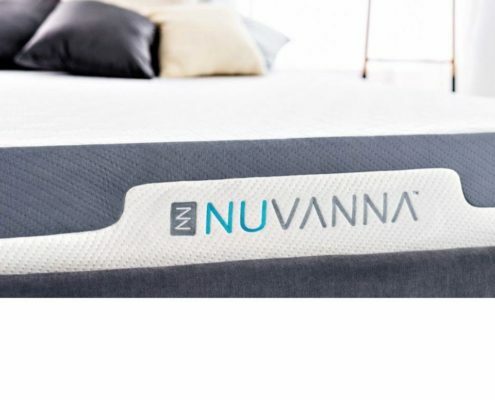 Overall, Nuvanna is a solid mattress choice with great cooling features as well as good pressure relief while maintaining a somewhat medium/medium-firm feel. Like to sleep cool – Foam mattresses can sleep warm. 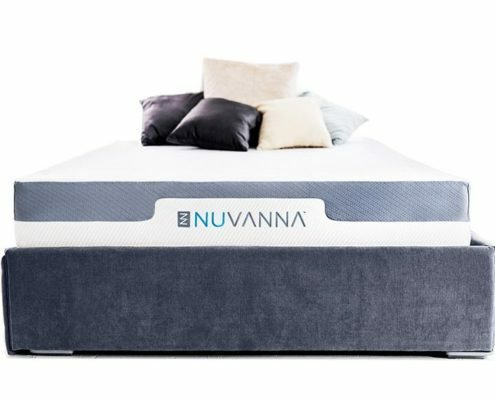 However, the design of the of Nuvanna with the Tencel cover and phase change gel in the top layer paired with the fact you don’t sink in super far makes for a cool sleeping mattress. Like great bounce paired with body conformance – Nuvanna uses a very responsive top layer of foam and the memory foam under that provides pressure relief and conformance. This all makes it very easy to adjust positions while providing pressure relief at the same time. Sleep in multiple positions – This mattress is a good medium to medium firm feel with good body conformance. Sleeping on your side, back or stomach Nuvanna will conform to your body very well. Side sleepers 100% of the time could want something softer. Want a innerspring mattress – It can take time to get used to a foam mattress, if you already know you don’t like all foam mattresses you should stick with a coiled mattress. 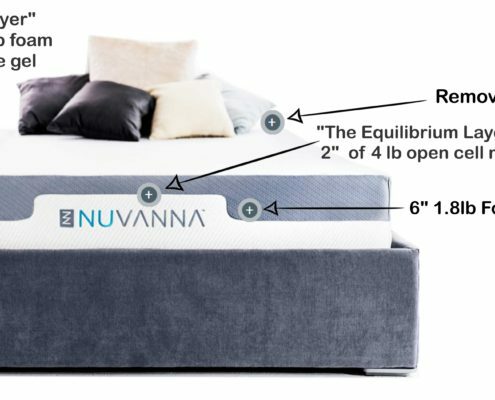 The Nuvanna is a comfortable mattress but it won’t probably transform you from a spring fan to a foam fan. 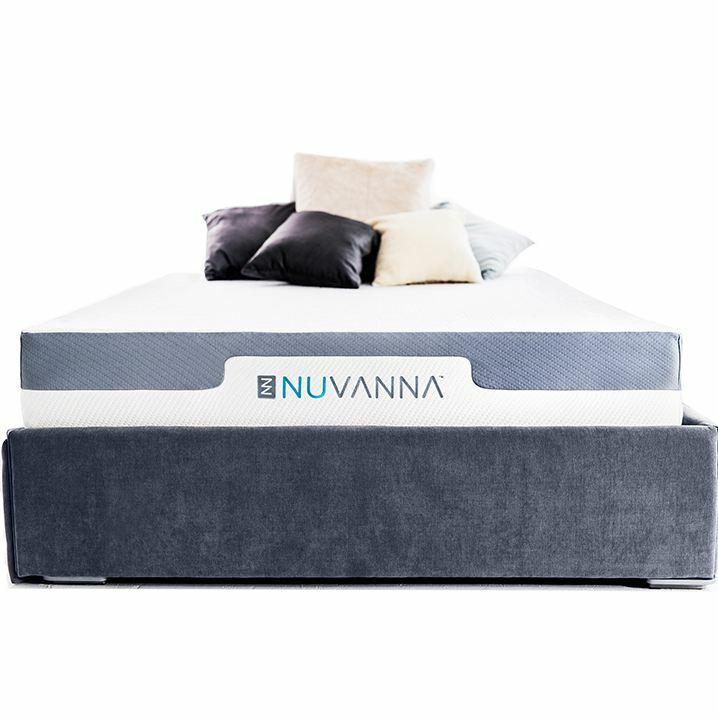 Want a tall extra thick mattress set – Nuvanna is not going to be super thick and tall like some mattresses you will find online and in stores like a pillowtop. One nice thing is with that is you don’t need to worry about sheets popping off, which is annoying! 1st Layer: Ascension Layer – The top layer consists of 2″, three pounds density of adaptive poly foam that uses phase change gel particles. This layer is made to be responsive, and does not retain body heat. 2nd Layer: Equilibrium Layer- The middle layer consists of 2″, 4 pound density open cell memory foam that uses larger cells to make it more reactive to the body for cooler sleep. 3rd Layer: Core Foundation – The bottom layer consists of 6″ of 1.8 pcf high density base layer. The Nuvanna is about a 6.5 out of 10 on the firmness scale. With the top layers fast response it is easy to adjust sleeping positions. 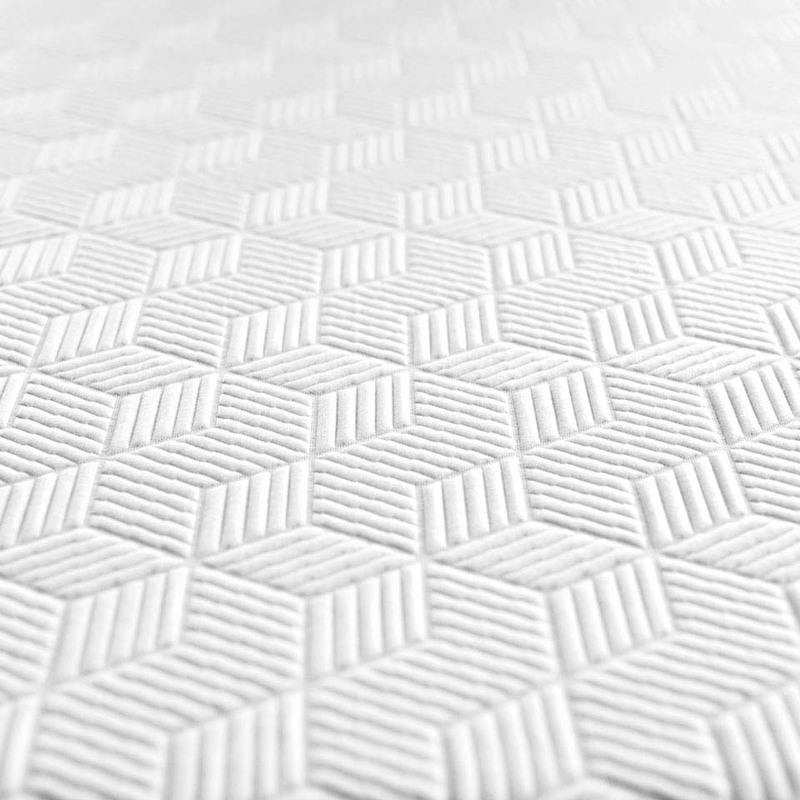 The materials used in the mattress are of a good quality, once you’re laying down for a bit the memory foam layer reacts a bit more and it feels softer then you might think right at your first lay on the mattress. The top layer conforms immediately. ​I really liked the feel of the Nuvanna, its the firmness I like overall and I really enjoyed how responsive the foam is if I were to shift positions. The mattress had good body contouring without being too soft. You don’t have that “stuck” feeling I’ve experienced with some memory foam beds and that’s the point of having the ascension poly layer on the top layer. The Nuvanna is about a 7 out of 10 on the firmness scale. With the top layers fast response it is easy to adjust sleeping positions. My first lay on the mattress I thought it was a little firm, but like Ross said, it seemed to feel softer after the gel memory foam reacted. I am also lighter at 125lbs. The top layer supports your lower back very well and bounces back quickly if you adjust positions. I’m always worried about motion transfer since Ross moves around a lot. Like most foam beds this has very little motion transfer. The mattress also slept very cool. The top layer of foam being so responsive and easy to sink into is great for a lighter person too. You do not need to be heavy to get good body conformance. The Nuvanna had no problems with sleeping hot. The Tencel Cover uses moisture-wicking fibers — botanically derived, eco-friendly, breathable, more absorbent than cotton, softer than silk, cooler than linen. The top layer uses phase-change gel particles that disperse heat to keep you at the ideal sleeping temperature. Nuvanna being all foam will work fantastic on an adjustable base. Discounts – Use INSIDERS75 to receieve $75 OFF when checking out. 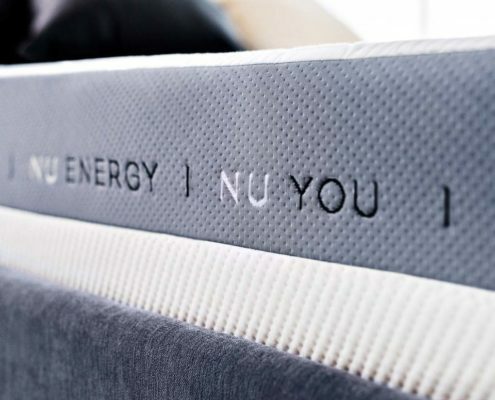 Nuvanna LLC is an online startup that helps consumers live a more balanced life, beginning with a supremely comfortable mattress for a good night’s rest — a key ingredient of a healthy lifestyle. 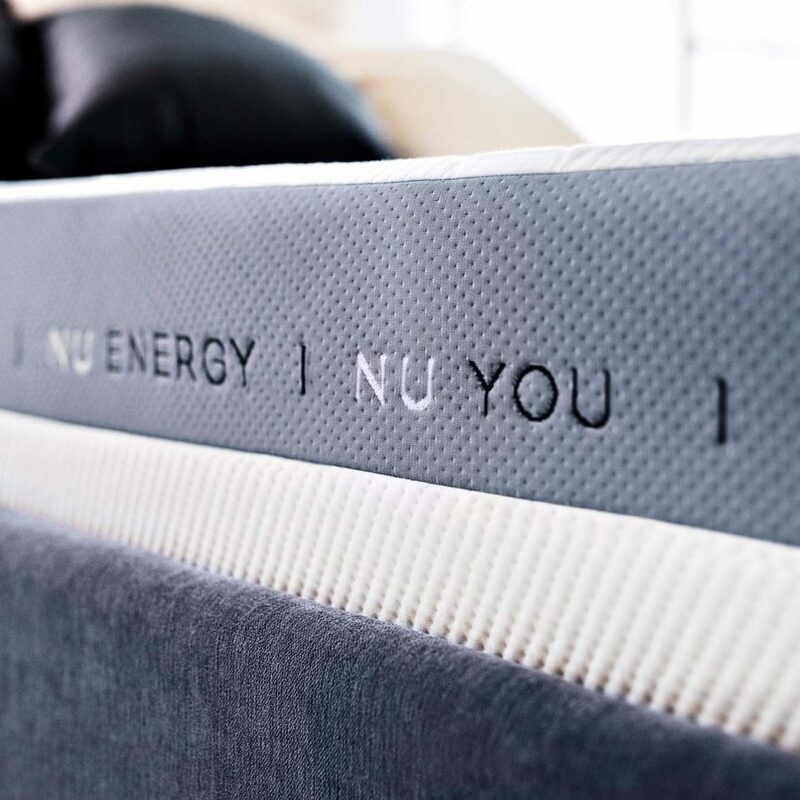 Developed with the expertise of founder and CEO Alvaro Vaselli, an innovator and leader in the materials science and sleep products industry for over 20 years, Nuvanna’s mattress was thoughtfully designed to deliver ideal comfort for all body sizes, weights and sleep positions. It contains the latest innovations in foam layers to blend comfort and support while keeping you at an ideal temperature for restful sleep. Nuvanna promises to ease the stress of the high-pressure world that especially confronts the Millennial generation by providing an easy, positive online buying process, relatable corporate values and product design they can understand using cutting-edge materials they can trust.